There’s some good news for folks who have been thinking of buying a Surface Laptop but wanted to max out the storage, as you can now specify a 1TB SSD with the notebook. Previously, this option was unavailable, and the maximum capacity SSD which could be chosen was 512GB. However, note that the 1TB drive is only available in one certain configuration at the moment. 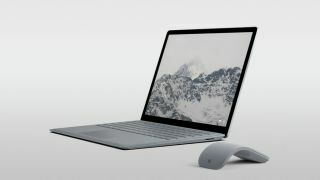 You’ll need to be purchasing the platinum color Surface Laptop, and you’ll also have to max the rest of the spec out – meaning you must choose the Core i7 processor along with 16GB of system memory. Any other configuration means the option for a 1TB SSD will still be grayed out, although presumably this will change in the future, and maximum storage will also become available in different color models. Although Microsoft hasn’t said anything on the matter right now. So, how much will the platinum Surface Laptop Core i7, 16GB with 1TB SSD set you back? The asking price on Microsoft’s web store is a rather eye-watering £2,699, or $2,699 in the US (AU$3,999 over in Australia). The same model with a 512GB SSD is priced at £2,149 in the UK ($2,199 in the US), so you’re paying an extra £550 (or $500) to double the size of the drive – ouch indeed. Still, for those who really need the storage space in their notebook, it’s certainly good to have the option to step things up.